Have you ever noticed how some people are always smiling, happy, and they seem to brighten up a room? Their positive attitude and enthusiasm are felt by all they come in contact with. There are also those who have a doom and gloom effect. I’m referring to attitude! What exactly is attitude? It’s your mental state or the position you take regarding life. One of my personal favorite quotes is from Zig Ziglar, “Your attitude, not your aptitude, will determine your altitude.” I love this quote. The difference between success and failure, isn’t tied to how you look, how you dress, or how much education you have, it’s based on how you think! In other words, do you see the glass half empty or half full? Great leaders have one thing in common, they know that a positive attitude is contagious. As leaders in the classroom or in the student salon, it’s imperative that a positive attitude is displayed daily. After all, if we expect students to display positive attitudes, we should model such behaviors for them. The truth of the matter is every day we have the choice to display a positive or negative attitude. On a daily basis, we encounter negative attitudes at work and in our personal lives. My belief is if you remain positive in the midst of negativity, you are the one that can be contagious. Be enthusiastic – people love to be around people that are enthusiastic. Enthusiasm is contagious and draws others to you like a magnet. Associate with positive people – if you want to stay positive, stay away from people that drag you down. Associate yourself around like-minded people. Smile – smiling makes it all better. Smiling releases endorphins and serotonin, which are known as the feel good hormones. It’s a lot easier to adopt a positive attitude when you feel good! Change your thoughts – positive thoughts lead to a positive attitude, while negative thoughts lead to a negative attitude. Stop complaining – limit your complaints. Whining and griping about anything and everything will not create a positive attitude. When you’re complaining, you’re spreading negativity. 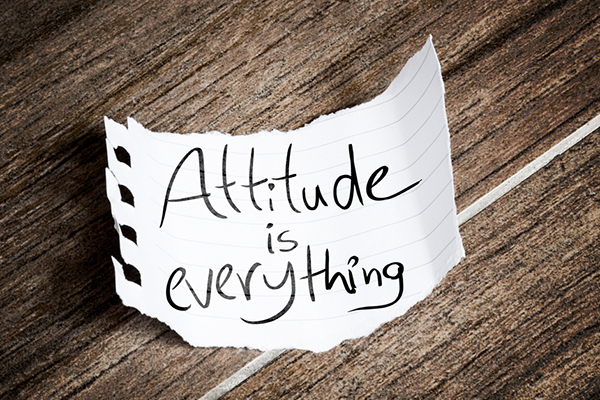 If you want more success in your leadership role and to have a positive impact on your students, then make certain your attitude is worth catching.